Ellena Cohen is trained in Traditional Chinese Medicine and 5 Element Constitutional Acupuncture. 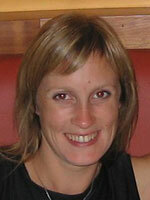 She has been a registered member of the British Acupuncture Council since 2003. I have always been fascinated with the form and function of the human body. My scientific studies prior to acupuncture confirmed to me that there are many connections between the physical, mental and emotional realms, which are all equally important for health. Acupuncture can work on all three levels, restoring balance and health and enabling us to live at our full potential. Standard prices are £65 for the first appointment which is up to 2 hours, subsequent appointments are £45 for a 1 hour session.